The recreational marijuana era is officially underway in Massachusetts. Officials at the Cannabis Control Commission on Thursday afternoon granted the state’s first-ever recreational marijuana license to a cultivation facility in Milford operated by Sira Naturals. The unanimous decision by the agency’s five commissioners is a major milestone in the long process of implementing the state’s commercial marijuana market, which voters approved in a November 2016 ballot referendum. And, with a target date of July 1 for the opening of commercial sales, the commission hopes to vote on several license applications each week, setting up a steady if deliberate rollout of recreational pot businesses. The license issued to Sira Naturals on Thursday is provisional; to win a final permit and begin operations, the company’s Milford facility must pass inspections and its principals must complete a background check that includes submitting their fingerprints. 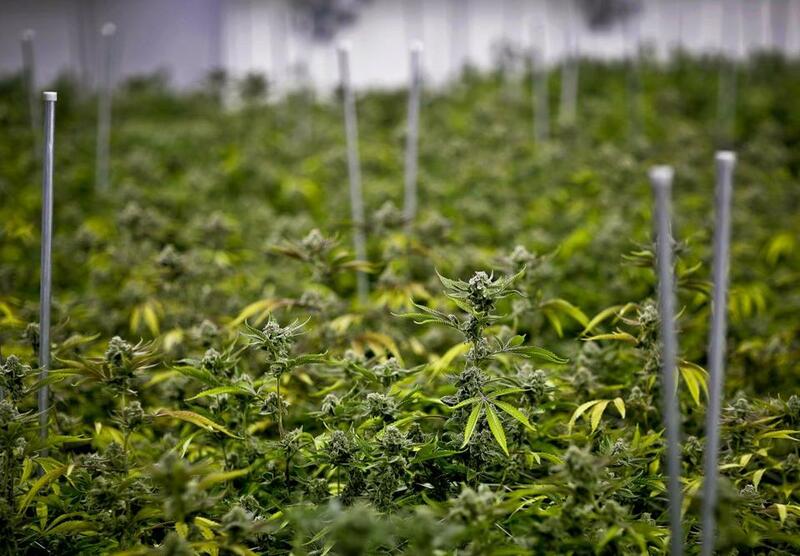 The company must also re-file a proposal showing how its business will benefit communities disproportionately affected by the enforcement of previous laws criminalizing marijuana — mostly people of color — after the commission agreed the company’s plan for doing so was too vague. After Sira filed its application in April, the company announced it would launch an accelerator for smaller marijuana companies, taking a small ownership stake in exchange for providing entrepreneurs space and equipment to process marijuana into edibles, concentrates, and other products. That effort is likely to satisfy the commission’s requirements, officials said. Still, the one license is unlikely to have much immediate practical effect on consumers. Sira currently grows marijuana for its three medical cannabis dispensaries in Cambridge, Needham, and Somerville. Those locations have not even submitted applications for recreational licenses, nor has state yet licensed any other retailers that could sell pot grown by Sira. Moreover, Dundas doesn’t expect to have much marijuana to spare when other retailers do open. Sira is about to start a significant expansion in Milford, but again, Dundas said that project will take months, and a new crop would take several more months after that. Another wrinkle: The state has yet to figure out a procedure for transferring marijuana grown under the medical marijuana system overseen by the Department of Public Health to the recreational market regulated by the Cannabis Control Commission. Hoffman on Thursday reiterated his commission’s long-standing caution that there won’t likely be much pot available in the first weeks of the rollout. Hoffman said the commission had been “chastened” by the experience of other states that rushed to implement recreational marijuana before their licensing and tracking systems were up and running. Among the requirements for Sira Naturals to get its license was a signed contract with Milford officials that will see the company pay a chunk of its revenue to the town. Milford residents voted last year to block all recreational marijuana establishments from the town. However, Sira and Proverde Laboratories, a cannabis-testing company, successfully lobbied officials to exempt them from the ban. Sira Naturals is backed by a handful of local investors, businessmen who owned real estate, automotive, and mortgage companies. Dundas took a winding career path to the pot business. He worked in digital media in the 1990s before spending six years in Beijing teaching English and working as the host of a radio program. He later obtained a law degree from the University of San Francisco School of Law. Dundas also serves on the state’s official Cannabis Advisory Board, a group of industry leaders, law enforcement officials, and advocates who recommend policies to the cannabis commission.